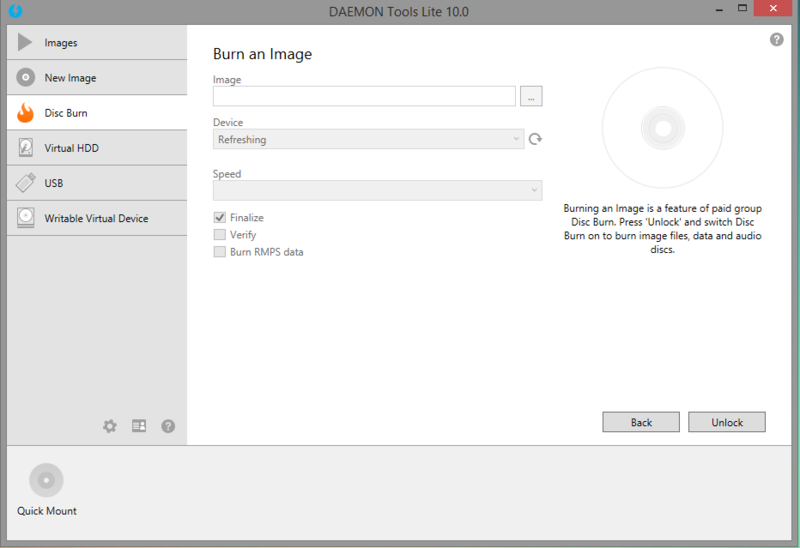 Can Daemon Tools lite be used to burn ISO files? it doen't seem to have such functionality. Yes, the application can be used to burn ISO files, but not in the FREE Mode. You will need the activated version of Daemon Tools in order to burn ISO file. As you can see in the image below, there is a Disc Burn option, but it needs to be unlocked in order to burn it.